The Aretas Particulate Matter Monitoring System is able to detect many particle sizes ranging from 0.3, 0.5, 1, 2.5, 5, 10 um. This easy to install, wireless system displays data online and sends customizable alerts via text message or email. you with accurate information about your indoor environments. Secure cloud based data allows decision-makers and maintenance staff to monitor PM levels from anywhere at anytime. Contact a live Aretas representative today to discuss how we can help meet your unique monitoring needs (877) 218-6232. What are particulate matter health effects? The term “particulate matter” (PM) refers to the microscopic pieces of material (solid or liquid) that are present in the air we breathe. These airborne particles can be things like soot, pollen, animal dander, dust mites, mold, aerosol, cigarette smoke, radon, formaldehyde, or asbestos. Fine particulate matter PM2.5 (that which measures 2.5 micrometers or smaller) is considered the most dangerous as it can be inhaled deep into the lungs and potentially enter the bloodstream. 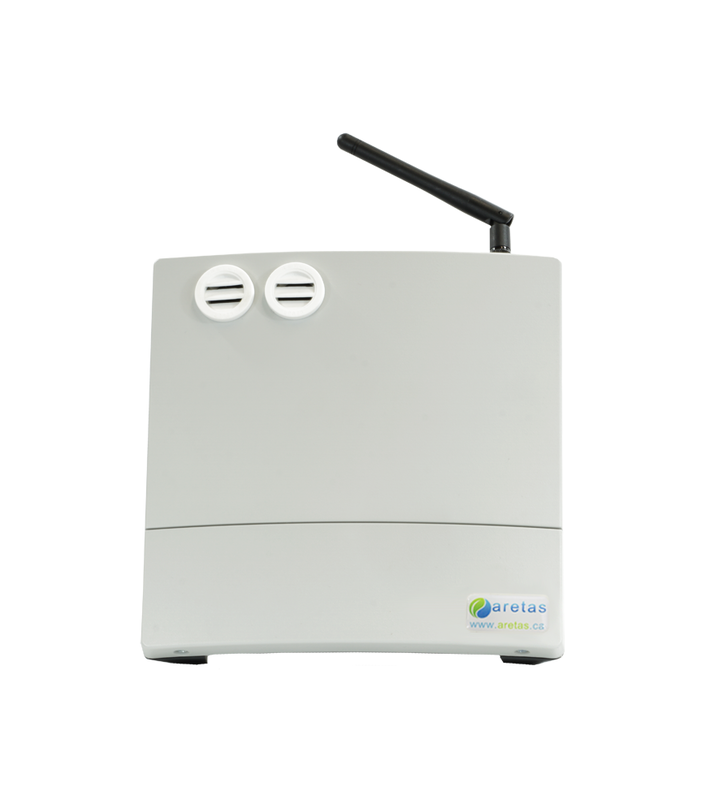 Aretas’ particulate monitor has the sensitivity to detect particles as small as approximately .3 micrometer and the capability to transmit alerts to you when concentrations become worrisome. 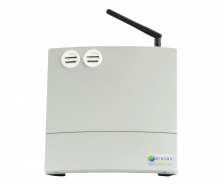 Let the Aretas team help you choose the fine particulate matter monitoring equipment you need by contacting us today. At no additional charge most of our monitoring solutions include temperature and humidity monitoring to determine if energy savings opportunities exist allowing you to offset the cost of PM and other monitoring needs. The main outputs are the particle counts within a specified volume, the default volume set at 0.1L, other volumes for particle count can be converted by multiplying the particle count of 0.1L with a ratio of 0.1L to a user defined volume. For example, to determine the particle count in a volume of 1L, we can take the particle count of 0.1L and multiply by a factor of 10.